A pretty prolific bunch are these boys from Melbourne. Four albums in four years somewhat harks back to the good old days (pre-Def Leppard) when bands went into the studio for six weeks, toured for a year, then returned to the studio for another six weeks to record the follow-up. However, productivity is one thing, the ability to deliver a constantly improving album full of high class material remains the benchmark irrespective of work ethic. 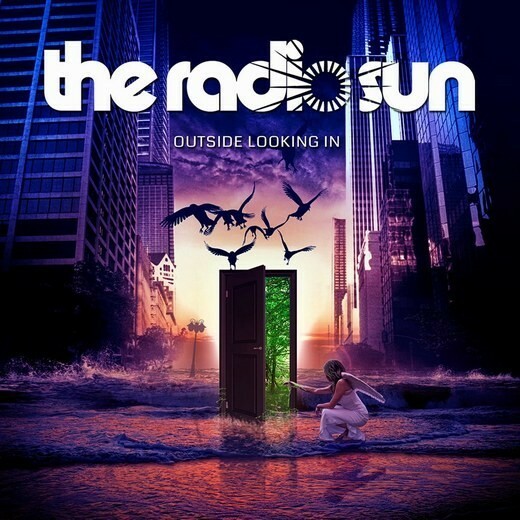 The Radio Sun are one of those bands who temper moments of sublime brilliance with some less stellar moments that somewhat takes the shine off the overall product. If you're unfamiliar with TRS, they play good old fashioned AOR/Melodic Hard Rock, producing mostly upbeat party anthems that demand you to sing-along and play air guitar; think DL meets Danger Danger with a little Winger thrown in for good measure. Their music is full of riffing guitars, hugely sing-able choruses, backing vocals and multi-layered arrangements that some of the genre's more established acts should take note of. For all the many excellent highlights on this album, and there are plenty ('Can't Get You Out Of My Head', 'Standing On The Edge Of Love', the utterly superb 'Switch Off The World Tonight', 'My Heart Is On Fire', 'Broken' and the wonderful 'Baby Blue'), there are sadly some moments that dull the sparkle. The more up-tempo tracks such as 'You'll Never Know' and 'Fall To Pieces', apart from the backing vocals, sound like a completely different band. It's not that they're bad songs, they just don't sit properly with the rest of the album's material and as a result slightly tarnish the overall listening experience. 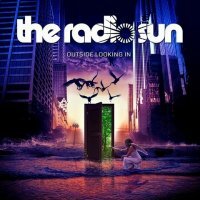 The Radio Sun continue to impress with their constant improvement and delivery of higher quality material with each release. This album contains fourteen tracks, but dropping the three out and out Rockers and cutting back to eleven would have seriously moved this into the big leagues with an early shot at "Album Of The Year". Apart from that dip on quality control, 'Outside Looking In' is, for the most part, full of sunshine anthems like they used to do back in the day – a rarity itself in this day and age. These guys continue to improve, and perhaps paying a little more attention to detail in the QC department next time around will help them deliver "the" album. They're not far away at all.